These letters are similar with the gospel of John. Our case for understanding the authorship of these letters hangs together with the gospel of John and the book of Revelation (see “Introduction to John” and “Authorship of Revelation”). Since there is good evidence for believing John wrote the gospel of John and Revelation, we should hold to John’s authorship for these three letters as well. (1 Jn. 1:1) What was from the beginning, what we have heard, what we have seen with our eyes, what we have looked at and touched with our hands, concerning the Word of Life. (Jn. 1:1, 14) In the beginning was the Word, and the Word was with God, and the Word was God… 14 And the Word became flesh, and dwelt among us, and we saw His glory, glory as of the only begotten from the Father, full of grace and truth. (1 Jn. 1:4) These things we write, so that our joy may be made complete. (Jn. 16:24) Until now you have asked for nothing in My name; ask and you will receive, so that your joy may be made full. (1 Jn. 1:6–7) If we say that we have fellowship with Him and yet walk in the darkness, we lie and do not practice the truth; 7 but if we walk in the Light as He Himself is in the Light, we have fellowship with one another, and the blood of Jesus His Son cleanses us from all sin. (1 Jn. 2:7) Beloved, I am not writing a new commandment to you, but an old commandment which you have had from the beginning; the old commandment is the word which you have heard. (1 Jn. 3:8) the one who practices sin is of the devil; for the devil has sinned from the beginning. The Son of God appeared for this purpose, to destroy the works of the devil. (Jn. 8:44) You are of your father the devil, and you want to do the desires of your father. He was a murderer from the beginning, and does not stand in the truth because there is no truth in him. Whenever he speaks a lie, he speaks from his own nature, for he is a liar and the father of lies. (1 Jn. 3:14) We know that we have passed out of death into life, because we love the brethren. He who does not love abides in death. (Jn. 5:24) Truly, truly, I say to you, he who hears My word, and believes Him who sent Me, has eternal life, and does not come into judgment, but has passed out of death into life. (1 Jn. 4:6) We are from God; he who knows God listens to us; he who is not from God does not listen to us. By this we know the spirit of truth and the spirit of error. (Jn. 8:47) He who is of God hears the words of God; for this reason you do not hear them, because you are not of God. (1 Jn. 4:9) By this the love of God was manifested in us, that God has sent His only begotten Son into the world so that we might live through Him. (Jn. 1:14, 18; 3:16) And the Word became flesh, and dwelt among us, and we saw His glory, glory as of the only begotten from the Father, full of grace and truth… 18 No one has seen God at any time; the only begotten God who is in the bosom of the Father, He has explained Him… For God so loved the world, that He gave His only begotten Son, that whoever believes in Him shall not perish, but have eternal life. (1 Jn. 5:9) If we receive the testimony of men, the testimony of God is greater; for the testimony of God is this, that He has testified concerning His Son. (Jn. 5:32, 37) There is another who testifies of Me, and I know that the testimony which He gives about Me is true… 37 And the Father who sent Me, He has testified of Me. You have neither heard His voice at any time nor seen His form. (1 Jn. 5:12) He who has the Son has the life; he who does not have the Son of God does not have the life. (Jn. 3:36) He who believes in the Son has eternal life; but he who does not obey the Son will not see life, but the wrath of God abides on him. These three letters are similar with one another. When letters disagree with one another, critics claim that this is inductive evidence against similar authorship. Yet when they’re too similar, they claim that this is too suspicious. For instance, C.H. Dodd holds that all three letters of John are too similar to have been written by the same author! The author claims to be an eyewitness of Jesus’ earthly ministry. John writes, “What was from the beginning, what we have heard, what we have seen with our eyes, what we have looked at and touched with our hands, concerning the Word of Life—2 and the life was manifested, and we have seen and testify and proclaim to you the eternal life, which was with the Father and was manifested to us—3 what we have seen and heard we proclaim to you also, so that you too may have fellowship with us; and indeed our fellowship is with the Father, and with His Son Jesus Christ” (1 Jn. 1:1-3). Irenaeus (AD 180) held to John the apostle as the author of the gospel of John. He wrote, “Afterward John, the disciple of the Lord, who also had leaned upon his breast, himself published his gospel, while he was living at Ephesus in Asia” (Contra Haereses 3.1.1). Later, Irenaeus attributes 1 John to the apostle (Contra Haereses 3.16.5, 8). John was presumably very young when he met Jesus. We see him laying on Jesus’ chest at the Last Supper (Jn. 13:23), which seems like the action of a younger man. Moreover, John lives into the 90’s AD to write the gospel of John and Revelation, which would make more sense if he was young in Jesus’ day (AD 30’s). John owned a fishing business with his brother James and Peter. Jesus called all three of these men into ministry at the same time (Lk. 5:10). Since these three men had a friendship as business partners, it is interesting to watch them partner in ministry as well. 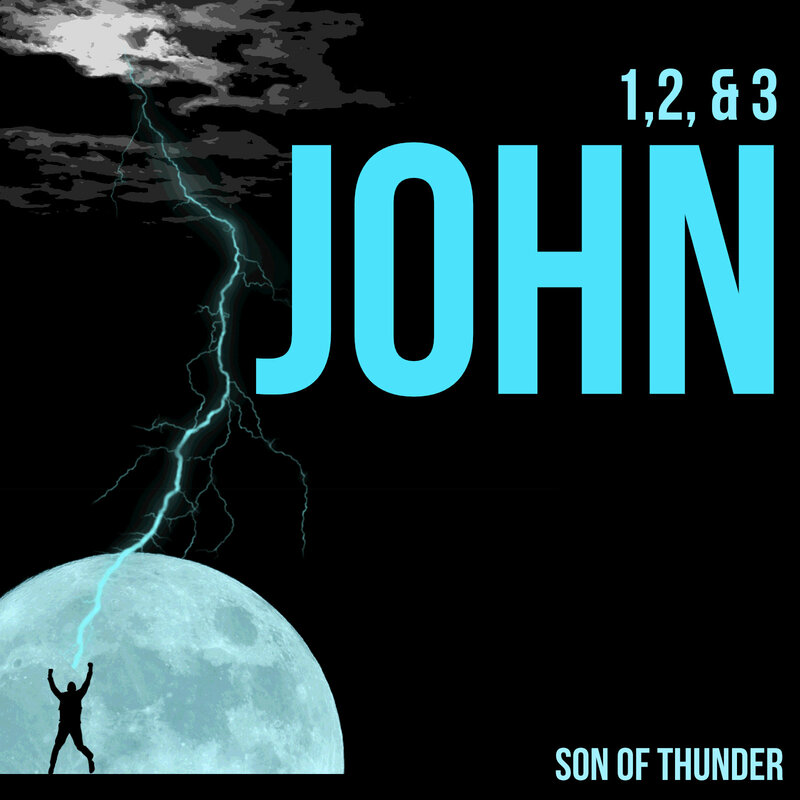 Jesus gave John a nickname: the son of thunder (Mk. 3:17). Was John a rambunctious young man to gain such a nickname? John was incredibly bold and foolish (Mk. 10:35ff), asking to be Jesus’ right-hand man in the kingdom. Ironically, Jesus gave him his request—only John later realized that this meant to be Jesus’ right-hand man in suffering for the kingdom of God. His brother James was killed during his lifetime by Herod’s sword (Acts 12:2), and at the end of his life, he was boiled in oil and exiled to Patmos Island according to later historical traditions. Jesus asked John to prepare the Last Supper (Lk. 22:8), and he reclined with Jesus there (Jn. 13:23; 19:26; 20:2; 21:7; 21:20). When Jesus hung from the Cross, he entrusted the care of his mother (a widow?) to John (Jn. 19:26). He was not well-educated, but he underwent dramatic life change after the resurrection (Acts 4:13). In fact, he stood up to the authorities with tremendous courage (Acts 4:19). Finally, Jesus appears to him to reveal the end of human history (Rev. 22:8). Jesus included John in his “inner three” best friends (Mk. 5:37). He is one of the “inner-three” who went up with Jesus on the mountain for the transfiguration (Mt. 17:1). Jesus also included these three men in his time of greatest distress to pray with him (Mk. 14:32-34). Why does 2 and 3 John claim to be written by “the elder,” rather than by the apostle? Some scholars hold that there were two John’s in the early church: John the apostle and John the elder. This concept comes from Eusebius, the church historian. He notes that Papias mentions John the apostle and “John the elder” (Ecclesiastical History, 3.39.4). Were these letters written by another John called “the elder”? We think not. Eusebius may have misinterpreted Papias’ statement about John the elder. In fact, Eusebius didn’t believe that Papias was a direct disciple of John the apostle. Even though Irenaeus claimed that Papias was “a hearer of John and a companion of Polycarp, a man of primitive times” (Ecclesiastical History, 3.39.1), Eusebius concludes, “[Papias] was in no sense a hearer and eyewitness of the holy Apostles’, but only learnt from ‘their pupils’” (Ecclesiastical History, 3.39.2). Eusebius had a very low view of Papias, claiming that he “was a man of exceedingly small intelligence” (Ecclesiastical History, 3.39.13). Could it be that Eusebius had such a low view of Papias that he discounted the thought that he could be a direct disciple of the apostle John? Even in the NT documents, Peter calls himself a “fellow elder” (1 Pet. 5:1), even though he also considers himself to be “an apostle of Jesus Christ” (1 Pet. 1:1). Moreover, John addresses himself as “the elder” in 2 John 1 and 3 John 1, yet this makes sense in light of the personal comments throughout these letters. In 1 John he addresses the audience as an apostle, while in 2 and 3 John, he addresses them as their pastor. Something similar could be going on in Paul’s self-identification as “Paul, the aged” (Phile. 9). While some scholars date these letters before AD 70, John most likely wrote these three letters sometime between AD 85 and 95—toward the end of his life. Barker, Johnson, Thompson, and Smalley all hold to this dating. Scholars come to this conclusion because they assume that John wrote these letters after his gospel, which dates to roughly AD 85 (see “Introduction to John”). In these letters, John writes as an older man, calling the believers “little children.” While the dating isn’t certain, a date of AD 90 is probably close. Audience: To whom was John writing? The historical audience of 1, 2, and 3 John are key to an accurate interpretation of this book. It’s more difficult to understand the audience of these letters, because (unlike Paul) John’s churches are not mentioned in the book of Acts. Thus we must rely on (1) internal evidence from the books themselves and (2) external evidence from early church historians. They denied that Jesus was the Messiah. John writes, “Who is the liar but the one who denies that Jesus is the Christ? This is the antichrist, the one who denies the Father and the Son” (1 Jn. 2:22). They denied the humanity of Jesus. This is also referred to as docetism. The Greek term dokeo means “to appear.” Thus docetists believe that Jesus merely “appeared” to be human, but was actually just a ghost or spirit-being. John writes, “Every spirit that confesses that Jesus Christ has come in the flesh is from God; 3 and every spirit that does not confess Jesus is not from God; this is the spirit of the antichrist” (1 Jn. 4:2-3; 2 Jn. 7). They denied Jesus’ teachings. John writes, “The one who says, “I have come to know Him,” and does not keep His commandments, is a liar, and the truth is not in him” (1 Jn. 2:4). He also writes, “The one who says he is in the Light and yet hates his brother is in the darkness until now” (1 Jn. 2:9). They denied their own sin. John writes, “If we say that we have no sin, we are deceiving ourselves and the truth is not in us… If we say that we have not sinned, we make Him a liar and His word is not in us” (1 Jn. 1:8, 10). “[Cerinthus] represented Jesus as having not been born of a virgin, but as being the son of Joseph and Mary according to the ordinary course of human generation, while he nevertheless was more righteous, prudent and wise than other men. Moreover, after his baptism, Christ descended upon him in the form of a dove from the supreme Ruler, and that then he proclaimed the unknown Father, and performed miracles. But at last Christ departed from Jesus, and that then Jesus suffered and rose again, while Christ remained impassible, inasmuch as he was a spiritual being” (Contra Haereses 28.1). Therefore, from both the internal and external evidence, we discover that John was battling Gnosticism in the church of Ephesus. Hiebert writes, “It is generally agreed that the heresy confronted in 1 John was some form or forms of Gnosticism, but it is unwarranted to identify it with the full-blown Gnosticism of the second century.” This fact allows us to interpret this difficult book. Throughout the book, we encounter very black and white statements about following Christ without sin (3:6). When we realize that John was responding to false teachers who denied these categories, his statements come into focus. As a speculative philosophy of religion, Gnosticism was marked by a kaleidoscopic variety of views. Basic was the dualistic view that spirit is good and matter is inherently evil, and that the two are in perpetual antagonism. This assumed dualism created a gulf between the true God and this material world. The Gnostics, meaning “knowing ones,” held that spiritual excellence consisted not in a holy life but in their superior knowledge, which enabled them to rise above the earthbound chains of matter in their apprehension of the heavenly truth that had been made known to them. This knowledge, they claimed, had been made known to them through Christ as the Messenger of the true God. Thus ‘the gnostic Christ was not a saviour; he was a revealer. He came for the express purpose of communicating his secret gnosis.’8 This undermined the Christian view of sin and the atonement. Acceptance of Gnostic dualism made the Christian doctrine of the Incarnation unthinkable; two alternative views were advanced. Docetic Gnosticism held that Christ seemed to have a human body; His supposed humanity was a phantom. Cerinthian Gnosticism, named after Cerinthus, a late contemporary of John at Ephesus, held that the man Jesus, son of Joseph and Mary, was preeminent in righteousness and wisdom, that ‘the Christ’ came on Him at His baptism and empowered His ministry, but left Him before His crucifixion; it was only a man who died and rose again. Either view eliminated the Incarnation and nullified Christ’s atoning work. Since the Gnostics held that fellowship with God comes through the esoteric knowledge brought by Christ, they often expressed their assumed enlightenment in scandalous disregard of the ethical demands of Christianity. At other times their view led to asceticism. In opposition, John insisted that true Christian knowledge, which comes as a result of the anointing of the Holy One (2:20), involves spiritual enlightenment as well as holiness of life (1:5-2:5). For true assurance of eternal life (5:13) the Christological test as well as the ethical test must be applied. This historical background information really helps us to interpret this book. Without it, many of the difficult passages become obscured. It’s similar to entering a movie halfway through without understanding the characters or the plot. You can pick up on the main points, but the details are difficult to discern. Zane Hodges is hesitant to call the false teachers Gnostics, because our knowledge of Gnosticism comes from the second century and following. He prefers to call this proto-Gnosticism, or perhaps some form of Jewish revisionism of Jesus. While we have no problem referring to this false teaching as “proto-Gnosticism,” we feel that this reluctance to see Gnosticism in the first century is misguided. While Gnosticism is full blown in the second century, it was surely present in the first century. False teachings do not occur overnight, and we contend that the presence of a robust second century Gnosticism implies its roots in the first century church. John tells us that he wrote his letter so that true believers can have confidence in their trust in Christ: “These things I have written to you who believe in the name of the Son of God, so that you may know that you have eternal life” (1 Jn. 5:13). To support this central thesis, John gives a number of tests and ways to discern true spirituality from false. The Gnostic false teachers believed that there was a metaphysical rift between the physical world (which was evil) and the spiritual world (which was good). John confronts these beliefs with his opening four verses. He explains that God came in the flesh in the person of Jesus: “We touched him, we saw him, we heard him!” The spiritual God was manifested in physical flesh (cf. Jn. 1:1-3, 14; 20:27; Lk. 24:39). (1:1) “What was from the beginning, what we have heard, what we have seen with our eyes, what we have looked at and touched with our hands, concerning the Word of Life—” While John 1:1 uses the same language to refer to creation, this opens discussing Jesus’ ministry on Earth (“What was from the beginning… concerning the Word of Life”). John opens his letter emphasizing the fact that he was an eye-witness of Christ. “The Word of Life” is taken by some commentators to refer to the message (“word”) of life. However, the context favors the person of Jesus. Later, John writes, “[Jesus] is the true God and eternal life” (1 Jn. 5:20). (1:2) “And the life was manifested, and we have seen and testify and proclaim to you the eternal life, which was with the Father and was manifested to us—” When John says that “life” was manifested, he later specifies that he is referring to “eternal life.” This would be like referring to the Cavaliers, and then specifying the Cleveland Cavaliers. John thinks that eternal life and Jesus are a package deal. These two are not the same, but they come together as a package—like having wedding without a bride and groom. (1:3) “What we have seen and heard we proclaim to you also, so that you too may have fellowship with us; and indeed our fellowship is with the Father, and with His Son Jesus Christ.” In order to have fellowship with others and with God, we need the message of life “proclaimed” to us. Hodges takes “fellowship” to be the main message of the letter. John makes an astonishing claim: If people reject the message of the apostles, then they are rejecting God himself (cf. 1 Jn. 4:6). (1:4) “These things we write, so that our joy may be made complete.” Manuscripts differ on whether it should be “our joy” or “your joy.” If it’s “your joy,” this would fit with Jesus’ statement in John 16:24. John only uses the word “joy” two more times in his letters (2 Jn. 12; 3 Jn. 4), both of which refer to the apostolic joy of seeing believers in fellowship or watching them grow with God. “Fellowship with Him” Based on verse 3, this is fellowship with the apostolic message and God. Hodges takes this to refer to our spiritual growth. Under this view, fellowship refers to our condition—not our position. “walk in the darkness” This refers to a moral quality of evil or wickedness. “we lie and do not practice the truth” This doesn’t necessarily mean that they are going to hell. Rather they are living inconsistently with what they believe (e.g. “lie” and “do not practice… truth”). “we have fellowship with one another” In order for Christian community to work, we need to follow God’s moral will. Hodges takes the “one another” to refer to God and us—not other Christians and us. “the blood of Jesus His Son cleanses us from all sin” This isn’t conditional on walking in the light. Rather if we walk in the light, we have confidence that we are forgiven. This obviously presupposes the fact that we can continue to sin; otherwise we wouldn’t need Christ’s blood to forgive us. While it is true that we have been “cleansed” in the past tense (1 Cor. 6:11), it is also true that Jesus continues to cleanse us. This refers to the believer. This doesn’t place a condition on faith. Instead, it refers to the confidence we have that God will forgive us. He doesn’t just forgive us of conscious sins, but of “all unrighteousness,” whether conscious or not. (1:9) Is forgiveness conditional on continual confession? Hodges understands this to refer to being in denial of sin in our lives, and perhaps even justifying it. We might steal, and then say that we deserved it. In this case, we make God’s word a lie, by contradicting it. Instead of agreeing with God (“confess our sins”), we are making God a liar. On our view, this verse refers to the mindset of the false teachers who denied sin altogether. Hodges dislikes this view because of the consistent use of “we” throughout verses 5-10. (2:1) “My little children, I am writing these things to you so that you may not sin. And if anyone sins, we have an Advocate with the Father, Jesus Christ the righteous.” What are “these things” that he’s been writing? In context, it refers to the gospel message—over and against the false teaching in Ephesus (1:5-10). Whatever John wrote in 1:5-10, he intended it so that believers could get freedom from sin. “Advocate” (paraklētos) refers to “one who is called to someone’s aid” (BDAG). Latin writers (Tertullian, Cyprian, Hilary, etc.) translated this with the word advocatus (BDAG). But the legal use for this word is rare (BDAG). Instead, it typically means “one who appears in another’s behalf, mediator, intercessor, helper” (BDAG). Only John uses this term, and elsewhere, it always refers to the Holy Spirit (Jn. 14:16, 26; 15:26; 16:7). Here it refers to Jesus who intercedes on our behalf (Rom. 8:34; Heb. 7:25). This interchangeability shouldn’t surprise us, because even Jesus referred to the Holy Spirit as “another” Helper (Jn. 14:16). (2:2) “And He Himself is the propitiation for our sins; and not for ours only, but also for those of the whole world.” Instead of talking God out of judging us, Jesus offers himself in our place. As the evidence piles up that we’re guilty, Jesus steps in as our “propitiation,” meaning that he pays for our guilt (see comments on propitiation in Romans 3:25). In short, the word means that Jesus took away God’s righteous wrath toward us by being the “righteous” (v.1) sacrifice in our place. (2:2) Does this passage support unlimited atonement? Zane Hodges understands the thesis of 1 John to be “fellowship” with God (1 Jn. 1:3). By this, he means that we have experiential closeness with God. Based on this view, he understands the unloving believer to be experientially in the dark. This leads to self-deception and alienation from an experience of the love of God. Another view that will be upheld in this section is to hold that John is differentiating between true from false believers. Under this view, we can test the reality of our relationship with God from our love for others. The libertine Gnostic teachers denied the importance of moral living and love, and so John is writing to show the difference between the two worldviews. (2:3) “By this we know that we have come to know Him, if we keep His commandments.” Hodges argues that this is not a way of knowing if our faith in Christ is genuine. He points out that we know if we had saving faith if we believed. He notes that Martha made this simple declaration of faith (Jn. 11:25-27) and the man born blind did as well (Jn. 9:35-38). Neither of these believers fell into morbid introspection, wondering if their faith was true saving faith. Thus he concludes, “The test suggested by 1 John 2:3 is not of the saving knowledge of God or of Christ, but of the experiential knowledge of God and His Son.” Again, to Hodges, the driving message of the epistle is “fellowship” with God—not justification (1 Jn. 1:3). Jesus told the disciples that if they keep his commandments that he would “show himself” (Jn. 14:21). Another reading of the text is to simply say that we experience the truth of our living relationship with Christ as we act on it in love. (2:4) “The one who says, “I have come to know Him,” and does not keep His commandments, is a liar, and the truth is not in him.” For the flagrant sinner, John writes that “the truth is not in him.” Note that John used the same expression (“the truth is not in us”) to refer to the person who claimed to be without sin (1 Jn. 1:8). Here John switches from believers (“we,” v.3) to non-believers (“the one who says”). “By this” refers back to experiencing the fullness of God’s love (“the love of God has truly been perfected”). Thus, when we give out love for God, we experience deeper love from God. (2:6) “The one who says he abides in Him ought himself to walk in the same manner as He walked.” “Abide” is John’s term for discipleship (Jn. 15:4-8). Therefore, abiding in Him would refer to experiencing the love of God and giving it out to others. This is at the core of all Christian discipleship. (2:8) “On the other hand, I am writing a new commandment to you, which is true in Him and in you, because the darkness is passing away and the true Light is already shining.” By writing that the “darkness is passing away” (paragō) he means that the evil of the world is “passing away” (paragō, cf. 2:17; 1 Cor. 7:31). People living in the “darkness” of this world will be able to see the “light” of the gospel through our love for one another (Jn. 13:35). (2:9) “The one who says he is in the Light and yet hates his brother is in the darkness until now.” It’s not that these false teachers actually are in the Light (Christ), but they are claiming or “say” they’re true Christians. (2:11) “But the one who hates his brother is in the darkness and walks in the darkness, and does not know where he is going because the darkness has blinded his eyes.” This refers to the non-Christian whose position (“in the darkness”) and condition (“walks in the darkness”) are the same. It’s only when we come to Christ that our position changes, and we can get freedom to love like Christ in our condition. John’s language of “little children” (v.12), “fathers” (v.13), and “young men” (v.14) don’t seem to speak to different types of believers. After all, he elsewhere refers to the entire group as “little children” (2:1, 18, 28; 3:7, 18; 4:4; 5:21). (2:12) “I am writing to you, little children, because your sins have been forgiven you for His name’s sake.” At this point, John probably anticipates his audience questioning their own salvation. John adamantly affirms their salvation here. Later, he uses the language of believing in Jesus’ “name” to assure their salvation (1 Jn. 5:13). John writes this to reaffirm their salvation in contrast to the false teachers who were denying the salvation of these believers (1 Jn. 2:25-26). (2:13) “I am writing to you, fathers, because you know Him who has been from the beginning. I am writing to you, young men, because you have overcome the evil one. I have written to you, children, because you know the Father.” They know God who has existed “from the beginning” of time. They already had overcome the evil one. Though Satan blinds the minds of the unbelieving (2 Cor. 4:4), these people overcame him through their faith (1 Jn. 5:4-5). (2:14) “I have written to you, fathers, because you know Him who has been from the beginning. I have written to you, young men, because you are strong, and the word of God abides in you, and you have overcome the evil one.” Why does John repeat these affirmations to these believers? It may be because they were coming under such fervent attack from the false teachers regarding their salvation that John felt the need to hammer this home (cf. 1 Jn. 2:25-26). Why are the young men “strong”? It doesn’t come from self-effort, but only because “the word of God” abides in them (cf. Jn. 15:7). “The love of the Father is not in him.” This could refer to God’s love for us. Yet it could also refer to our love for God. That is, we have no love for the Father in us. This wouldn’t mean that we lose God’s love, but we lose our love for God. This would fit with other passages about materialism, which state the same concept (Lk. 16:13; Jas. 4:4). The alternative is to say that believers never love any aspect of the world-system, which is obviously false for every believer who has ever lived! “The lust of the eyes” Barker understands this to refer to “everything that entices the eyes.’” Hodges takes this to refer to any form of covetousness (i.e. greed). (2:17) “The world is passing away, and also its lusts; but the one who does the will of God lives forever.” Since the world is temporary, everything in it will end in nothing. The alternative is to live forever with God. This is the difference between the eternal perspective and the temporal perspective. This is similar to what John had already written—that “the darkness is passing and the true light is already shining” (2:8). (2:18) “Children, it is the last hour; and just as you heard that antichrist is coming, even now many antichrists have appeared; from this we know that it is the last hour.” Not only is the world “passing away,” but it is happening quickly. In fact, we are living in “the last hour.” By this, John cannot mean a literal 60 minute period. They wouldn’t be able to distribute and read this book that quickly! John uses the term “hour” to both literally (Jn. 1:39; 4:6; 11:9) and metaphorically (Jn. 2:4; 4:21, 23; 5:25, 28; 16:25). This might be an allusion to the Olivet Discourse, where Jesus taught that many false teachers would increase, as we reach the end (Mt. 24:4-5, 11, 24). This is why John writes that “from this we know that it is the last hour,” because Jesus taught this. While there are many antichrists (i.e. false teachers), there is still one singular antichrist to come. (2:19) “They went out from us, but they were not really of us; for if they had been of us, they would have remained with us; but they went out, so that it would be shown that they all are not of us.” It’s possible for someone to be in fellowship for a while, but not actually be a true believer. In context, it seems that these people who left fellowship were denying Christ (vv.21-23). These false teachers are similar in nature to those who came from James’ fellowship in Jerusalem in Acts 15:24 (“Some went out from us without our authorization and disturbed you” NIV). They are similar to the “false brethren” of Galatians 2:4. (2:20) “But you have an anointing from the Holy One, and you all know.” The “Holy One” is Jesus (Jn. 6:69). Jesus received his anointing by the Holy Spirit (Lk. 4:18; Acts 4:27; 10:38). As believers, we also get an “anointing” (chrism) from the Holy Spirit (2 Cor. 1:21-22). “All of you know the truth.” Since the Holy Spirit taught the apostles “all things” (Jn. 14:26) and “all truth” (Jn. 16:13), John is likely thinking in these terms. Since these believers learned the truth of Christ from the apostles, they also knew “all things.” They had no need to hear the contradictory speculations of the Gnostic teachers. (2:22) “Who is the liar but the one who denies that Jesus is the Christ? This is the antichrist, the one who denies the Father and the Son.” John is saying that both claims cannot be true. Either Jesus is the Christ, or he isn’t the Christ. One message is true, and the other is false. The way we can identify false teachers, antichrists, or the Antichrist (v.18) is to look at their doctrine. (2:23) “Whoever denies the Son does not have the Father; the one who confesses the Son has the Father also.” This fits with John 12:44-45 and John 14:6-11. Hodges (bizarrely!) holds open the possibility that these antichrists could possibly be Christians. (2:24) “As for you, let that abide in you which you heard from the beginning. If what you heard from the beginning abides in you, you also will abide in the Son and in the Father.” We should stick with what we’ve been taught. If we do “abide” in Christ, we will bear fruit: “He who abides in Me and I in him, he bears much fruit, for apart from Me you can do nothing” (Jn. 15:5). (2:25) “This is the promise which He Himself made to us: eternal life.” The Gnostic false teachers were denying the gospel. However, John reaffirms the message of the gospel in the strongest possible terms. After all, the gospel is the “promise” of God. (2:26) “These things I have written to you concerning those who are trying to deceive you.” Clearly, there were false teachers in this church. That’s why he says he’s writing to them—to help them discern the false teachers. (2:27) “As for you, the anointing which you received from Him abides in you, and you have no need for anyone to teach you; but as His anointing teaches you about all things, and is true and is not a lie, and just as it has taught you, you abide in Him.” The false teachers were distorting the original message of Christ. John is saying that they already know Christ—and have no need of any more teachers like this who contradict that message. (2:27) Do we need to be taught or not? (2:28) “Now, little children, abide in Him, so that when He appears, we may have confidence and not shrink away from Him in shame at His coming.” Hodges suggests that believers could experience regret and shame at the bema seat of Christ. Of course, Jesus will not shame us, but we could feel self-inflicted shame (“not shrink away in shame”). The key to avoiding this regret is not moral effort, but rather to currently cling to Christ and “abide in Him.” As we abide in Christ, we gain our “confidence” to come boldly into Jesus’ presence at his Second Coming. (2:29) “If you know that He is righteous, you know that everyone also who practices righteousness is born of Him.” This doesn’t merely refer to doing good deeds. John later writes, “This is His commandment, that we believe in the name of His Son Jesus Christ, and love one another, just as He commanded us” (1 Jn. 3:23). The love for one another derives from believing in Jesus—something that a non-Christian doesn’t do. Note that John doesn’t state that the opposite is true. That is, he does not write, “Everyone also who does not practice righteousness is not born of Him.” Instead, he is merely affirming one positive way to identify a believer. “See” (idete, eidon) is in the plural, making this a true imperative. He’s telling his readers to really look at the love of God. Because Jesus’ love was “manifested” to us through the Cross, he’s surely telling us to look at the Cross of Christ. It’s astounding that we can go a whole day without reflecting on the love of God through the Cross. God expresses his love through adoption (see “From Slaves to Sons”). It’s important to compare God as Father with non-Christian religions who think of God as a Boss, Master, Owner, or Impersonal Force. “For this reason the world does not know us, because it did not know Him.” This may refer back to 2:29, though it is the contrast of John’s point there. (3:2) “Beloved, now we are children of God, and it has not appeared as yet what we will be. We know that when He appears, we will be like Him, because we will see Him just as He is.” We already are adopted, and yet our adoption still hasn’t been fully revealed. This fits with Paul’s thought that we already are adopted, and yet we “wait eagerly for our adoption as sons, the redemption of our bodies” (Rom. 8:23). This is “already-not-yet” language. When Christ returns (or when we die), we will be changed to be like Christ. Paul writes that Christ “will transform the body of our humble state into conformity with the body of His glory” (Phil. 3:21), and we will “bear the likeness of the man from heaven” (1 Cor. 15:49 NIV). “We will see Him just as He is.” Part of our glorification will be just seeing Christ as he really is. (3:3) “And everyone who has this hope fixed on Him purifies himself, just as He is pure.” This reminds us of Romans 8:1-18. The key to sanctification is to think and reflect on who we are in Christ (and also what we’re going to become). (3:4) “Everyone who practices sin also practices lawlessness; and sin is lawlessness.” We’ve already argued that this church (in Ephesus) was plagued with Gnostic dualism (i.e. “It’s okay to sin in the flesh, because I’m pure in my soul”). These false teachers were arguing that it’s fine to sin, because there’s nothing wrong with it. John is writing that sin is immoral (i.e. “lawlessness” anomian). These false teachers were denying that sin was immoral, and John is strictly contradicting this antinomian concept. (3:5) “You know that He appeared in order to take away sins; and in Him there is no sin.” While it’s true that Christ took away our sins (1:10; 2:1), this doesn’t justify a licentious lifestyle. This same language (“take away sins”) was used by John the Baptist in John 1:29 (“Behold, the Lamb of God who takes away the sin of the world!”). Hodges argues that this could refer to our justification, but could also look forward to our glorification. That is, Jesus will ultimately take away sin when he returns (v.2). (3:6-9) Can Christians gain sinless perfection? (3:10) “By this the children of God and the children of the devil are obvious: anyone who does not practice righteousness is not of God, nor the one who does not love his brother.” How do we recognize or identify a false teacher? John says it is “obvious.” Look at their lifestyle. This isn’t the only method, but it’s a valuable one. Hodges argues that John is simply stating that we show that we are abiding in Christ by practicing righteousness. He even goes so far as to say that the “children of the devil” are not unbelievers, but rather those who simply reject truth (cf. Mt. 13:38; Jn. 8:44; Acts 13:10). He writes, “This is no more strange than that the Lord Jesus could address His own disciple Peter as ‘Satan’ [Mt. 16:23].” Rather than referring to their justified state, he holds that this refers to their usefulness by God. While we generally like Hodges’ work, in our estimation, this would be an example where he goes overboard in his free grace teaching. The language of “manifestation” and “knowing” are replete throughout this section. John is clearly writing about how to tell a true teacher from a false one. Hodges is hesitant to see Gnosticism in the church of Ephesus. In fact, he sees John’s audience as being the Church in Jerusalem instead. He calls these false teachers “Revisionists” throughout his commentary, rather than Gnostics. As a consequence, he doesn’t see John’s interlocutors clearly, and as a consequence, he misses the meaning of the passage. What does it look like to “practice righteousness,” according to John? In verse 10, he writes that this involves loving fellow believers. (3:11) “For this is the message which you have heard from the beginning, that we should love one another.” Jesus gave this command only to believers (Jn. 13:30). He waited until Judas had left the room. (3:12) “Not as Cain, who was of the evil one and slew his brother. And for what reason did he slay him? Because his deeds were evil, and his brother’s were righteous.” Why does John allude back to Genesis 4 to build his argument? This is the ultimate example of not loving your brother! (3:10-11) John is trying to paint a strong and contrasting picture of the followers of God and those of Satan. He’s alluding to this account, because everyone would know that Cain was the bad guy in the story. Similarly, the false teachers do not love their brothers either; so it’s just as easy to identify them as antithetical to God’s way. (3:13) “Do not be surprised, brethren, if the world hates you.” Cain was “of the evil one,” and he hated his brother who was following God. Today, the entire “world” (kosmos) is under the “power of the evil one” (1 Jn. 5:19). It shouldn’t surprise us if there is still tension between believers and non-believers today—just as there was from the beginning (Gen. 4). Jesus warned us, “If the world hates you, you know that it has hated Me before it hated you. If you were of the world, the world would love its own; but because you are not of the world, but I chose you out of the world, because of this the world hates you” (Jn. 15:18-19). (3:14) “We know that we have passed out of death into life, because we love the brethren. He who does not love abides in death.” How do we know that we’re a true believer (cf. Jn. 5:24)? One way (though not the only way) is to experience God’s love flowing through us into other people’s lives. The Greek word “know” can refer to gaining propositional knowledge, but it can also be rendered “be intimately acquainted with or stand in a close relation to” or “to grasp the meaning of something, understand, recognize, come to know, experience” (BDAG). We never have such a confidence in our relationship with God, than when we’re loving other people. “He who does not love abides in death.” This could refer to being a non-Christian. It could also refer to “death” in the sense of death to our spiritual growth. If “abiding” in Christ refers to closeness with him, then “abiding” in death would be present alienation from him. (3:15) Are murderers not forgiven by the blood of Christ? (3:16) “We know love by this, that He laid down His life for us; and we ought to lay down our lives for the brethren.” Jesus gave us the standard for biblical love. This is the opposite of Cain’s killing of his brother (v.13). (3:17) “But whoever has the world’s goods, and sees his brother in need and closes his heart against him, how does the love of God abide in him?” We may never have an opportunity to lay down our physical lives for our brother, but we often have the opportunity to meet the needs of those around us. Verse 16 uses the word “life” (psyche), while verse 17 uses the word “goods” (bios). “How does the love of God abide in him?” This would be another example of the word “abide.” John seems to be communicating that such a person isn’t in touch with God if they have a closed heart like that. Or to put it another way, if a person really had the love of God in their hearts (“abide in him”), then why does he “close his heart” to his brother? (3:18) “Little children, let us not love with word or with tongue, but in deed and truth.” Since “word” and “tongue” are synonymous, it seems that “deed” and “truth” are also synonymous. John explains that we need to look at the deeds of others to judge if they are telling the truth. (3:19) “We will know by this that we are of the truth, and will assure our heart before Him.” “By this” refers back to the selfless love of verse 18. When we love others, we gain assurance of salvation. (3:20) “In whatever our heart condemns us; for God is greater than our heart and knows all things.” Our love for others (v.18) always falls short. In this case, John writes that our hearts can “condemn” us. Yet John writes that “God is greater than our heart and knows all things.” God knows far more than our guilty conscience can ascertain, and he still accepts us. (3:22) “And whatever we ask we receive from Him, because we keep His commandments and do the things that are pleasing in His sight.” When we’re following Christ, we’re sensitive to his will. If we were living licentiously, we wouldn’t know what to ask for that’s even in his will (cf. 1 Jn. 5:14-15). Hodges writes, “Since the obedient Christian is seeking to do God’s “will” by keeping His commands, he will naturally make all his prayers subject to that will when he is in doubt about what God truly wishes to do.” James writes, “You ask and do not receive, because you ask with wrong motives, so that you may spend it on your pleasures” (Jas. 4:3). (3:23) “This is His commandment, that we believe in the name of His Son Jesus Christ, and love one another, just as He commanded us.” Don’t overthink the Christian life. It’s pretty simple: Trust Jesus and love your brother. (3:24) “The one who keeps His commandments abides in Him, and He in him. We know by this that He abides in us, by the Spirit whom He has given us.” What does it mean to “abide” in God? In context, it means to (1) believe in Jesus and (2) follow his teaching to love one another (see v.23). Jesus taught, “If anyone loves Me, he will keep My word; and My Father will love him, and We will come to him and make Our abode with him” (Jn. 14:23). The word “abode” (monē) is from the same word group as “abide” (menō). If we aren’t in a state of belief and love, then we cannot say that we are abiding in Jesus. How do we ultimately have assurance of our position in Christ? The Holy Spirit gives us personal testimony that we are children of God (Rom. 8:15-16). At the same time, we should be wary of other “spirits” that could be working in the world (4:1-3). We can discern truth experientially and doctrinally. It isn’t either/or, but both/and. (4:1) “Beloved, do not believe every spirit, but test the spirits to see whether they are from God, because many false prophets have gone out into the world.” John equates false teachers with evil spirits here, as he did in 3:8 and 3:10. Paul also makes this connection by writing that some will pay “attention to deceitful spirits and doctrines of demons” (1 Tim. 4:1; cf. Gal. 1:6-9). This further fits with the thesis that John is specifically writing against false teachers in this letter. Otherwise, why does he feel the need to bring this up here? He’s already given us criteria for judging false teaching in chapters 1-3; now he’s encouraging the reader to use their discernment. (4:2-3) “By this you know the Spirit of God: every spirit that confesses that Jesus Christ has come in the flesh is from God; 3 and every spirit that does not confess Jesus is not from God; this is the spirit of the antichrist, of which you have heard that it is coming, and now it is already in the world.” The false teachers were Gnostic (or proto-Gnostic). They didn’t believe that God would enter into a body of blood, skin, and bones. This heresy is commonly referred to as Docetism. The Greek term dokeo means “to appear.” Thus Docetism holds that Jesus merely appeared to be human, but was actually just a spirit-being. (4:4) “You are from God, little children, and have overcome them; because greater is He who is in you than he who is in the world.” As these believers ruminated over the false prophets, demons, and the spirit of the Antichrist, they probably felt a little scared! John reassures them by telling them that the Holy Spirit is more powerful than anything Satan can throw at us. Later he writes how we battle Satan: “For whatever is born of God overcomes the world; and this is the victory that has overcome the world—our faith. 5 Who is the one who overcomes the world, but he who believes that Jesus is the Son of God?” (1 Jn. 5:4-5). (4:5) “They are from the world; therefore they speak as from the world, and the world listens to them.” We shouldn’t be surprised if false teachers are attractive to people in the world. In contrast, the apostles were teaching the “backwards wisdom of God,” which will be rejected by people until they surrender to Christ. (4:6) “We are from God; he who knows God listens to us; he who is not from God does not listen to us. By this we know the spirit of truth and the spirit of error.” The “we” here likely refers to the apostles. This supports the thesis that we can identify false teachers by their doctrine and their deeds. (4:7) “Beloved, let us love one another, for love is from God; and everyone who loves is born of God and knows God.” Christian love is a sign that a person is a true believer (“born of God”) and close with him (“knows God”). We identify true believers by their love for one another (Jn. 13:34-35). (4:8) “The one who does not love does not know God, for God is love.” It’s interesting that John doesn’t mention the being “born of God” aspect here. Instead, he merely says that someone who is unloving does not “know God.” From this, Hodges argues that John is making a conspicuous omission: unloving believers can be true believers (“born of God”), even if they are not close with him (“does not know God”). (4:9-10) “By this the love of God was manifested in us, that God has sent His only begotten Son into the world so that we might live through Him. 10 In this is love, not that we loved God, but that He loved us and sent His Son to be the propitiation for our sins.” What a strong gospel verse! God gave his Son, so that we could become sons. He gave his life, so that we could live. This is also the perfect example of biblical love. How do I know that God loves me? We look at the Cross. God doesn’t just speak about his love, but he shows it to us. The propitiation refers to God’s wrath being satisfied by the Cross (see comments on propitiation in Romans 3:25). We often wish God would make us healthy, wealthy, and happy. This passage teaches that he took care of our greatest need: the forgiveness of our sins. God doesn’t always give us what we want, but what we need. (4:11) “Beloved, if God so loved us, we also ought to love one another.” This switches from the indicative mood (“if God loved us”) to the imperatival mood (“we also ought to love one another”). John argues that “no one has seen God at any time.” Instead, we should focus on the love of God—a quality the false teachers clearly lacked. As we love others, God “abides” in us further and further. As we give his love away, he reveals more and more of it to us. For further comments on the visibility of God, see 1 Timothy 1:17. (4:13) “By this we know that we abide in Him and He in us, because He has given us of His Spirit.” One of the ways we know that we have a relationship with God is because he has given us the gift of the Holy Spirit. The Holy Spirit reveals himself to us as we love one another. (4:14) “We have seen and testify that the Father has sent the Son to be the Savior of the world.” Despite Hodges’ contention that this refers to all believers’ experience of the Holy Spirit’s witness, we hold that John is referring to the apostolic testimony of the living Jesus (1 Jn. 1:1-3). Once we get this relationship, it’s only natural to share it with others (“testify”). (4:15) “Whoever confesses that Jesus is the Son of God, God abides in him, and he in God.” This shows that the Holy Spirit is one and the same as God (see verse 13). This fits with John’s statement that Jesus’ command is to (1) believe in him and (2) love one another (3:23). The earlier verses speak of love, and this passage speaks of faith. (4:16-17) “We have come to know and have believed the love which God has for us. God is love, and the one who abides in love abides in God, and God abides in him. 17 By this, love is perfected with us, so that we may have confidence in the day of judgment; because as He is, so also are we in this world.” It’s only as we start to believe in the love of God that we gain confidence in our salvation. While it’s true that we’re out of judgment, we only get the subjective confidence when we begin to trust in this great truth. John’s burden is the subjective experience of the love of God. He wants them to have “confidence” in God’s love and “believe” in it. (4:18) “There is no fear in love; but perfect love casts out fear, because fear involves punishment, and the one who fears is not perfected in love.” The context for “fear” is the judgment of verse 17. We will never know what it’s like to experience judgment with punishment. Here is the basis for loving others. Our needs are met. We know God’s love, we believe in love, and then we rest in God’s love to love others. This section sounds like a domino effect of one topic to the next. (4:19) “We love, because He first loved us.” A good passage on indicatives and imperatives. (4:20) “If someone says, ‘I love God,’ and hates his brother, he is a liar; for the one who does not love his brother whom he has seen, cannot love God whom he has not seen.” Consider a man who says that he can build a car from scratch, but then he can’t even change your oil. If he can’t do the latter, then he definitely can’t do the former. John doesn’t seem to be saying that these are non-Christians. After all, every believer hates his brother at some point or another. The point seems to be that these believers are hypocritical, and really aren’t connecting with the love of God. John is pointing out the discrepancy of speaking one thing but doing another. (4:21) “And this commandment we have from Him, that the one who loves God should love his brother also.” This command comes from Jesus in John 14:15 (“If you love Me, you will keep My commandments”). Based on verse 16: What is the difference between knowing God’s love and believing or trusting God’s love? How are these concepts similar or different? Faith also precedes regeneration. Calvinists have this backwards. They argue that God changes a person’s nature, so that they can exercise faith. But this passage teaches just the opposite. (5:2) “By this we know that we love the children of God, when we love God and observe His commandments.” One way to know you’ve come into a relationship with God is to see love being produced in your life that wasn’t there before. (5:3) “For this is the love of God, that we keep His commandments; and His commandments are not burdensome.” NLT and NIV make more sense of this passage. Keeping the commandments of love is our way of loving God. It isn’t “burdensome” to have a lifestyle of sacrificial love (Mt. 11:30). As we pour out love, God pours more in to our hearts (Jn. 13:17; Acts 20:35; Mt. 16:24-25). (5:4-5) “For whatever is born of God overcomes the world; and this is the victory that has overcome the world—our faith. 5 Who is the one who overcomes the world, but he who believes that Jesus is the Son of God?” Verse 1 tells us how to be “born of God.” We don’t fight Satan or the world-system with willpower or self-effort, but with trust in God. Baptism and death? Hodges understands the reference to “water” as referring to Jesus’ baptism, and the reference to “blood” as referring to his death on the Cross. This would fit with the idea that Jesus’ messianic program was begun at baptism and ended in his death. This would make sense of the fact that the Holy Spirit “testifies” of Jesus’ baptism, because the Holy Spirit descended on Jesus at his baptism (Mt. 3:16ff). Moreover, John writes, “The testimony of God is this, that He has testified concerning His Son” (v.10). Of course, at Jesus’ baptism, God the Father affirmed that Jesus was his Son. (5:7-8) Do modern translations want to avoid the Trinity? (5:9) “If we receive the testimony of men, the testimony of God is greater; for the testimony of God is this, that He has testified concerning His Son.” John is making an a fortiori argument. Since we do accept the reliable testimony of men (especially two or three witnesses), then how much more should we accept the testimony of God? (5:10) “The one who believes in the Son of God has the testimony in himself; the one who does not believe God has made Him a liar, because he has not believed in the testimony that God has given concerning His Son.” When we believe in Jesus, God gives us a ratifying testimony of the Holy Spirit within us. (5:11) “And the testimony is this, that God has given us eternal life, and this life is in His Son.” God has given us eternal life (in the past tense). We do not find eternal life anywhere outside of Jesus. This speaks to the exclusivity of the Christian message. (5:13) “These things I have written to you who believe in the name of the Son of God, so that you may know that you have eternal life.” Most commentators hold that this is the purpose statement for the entire letter. Others believe it only refers to the verses immediately preceding it. These Christians were being plagued by false teaching, and he’s reaffirming their faith in the apostolic gospel. (5:14-15) “This is the confidence which we have before Him, that, if we ask anything according to His will, He hears us. 15 And if we know that He hears us in whatever we ask, we know that we have the requests which we have asked from Him.” Why does John bring up prayer here? These believers were possibly feeling insecure about their faith and confidence before God. He writes this to remind them of their power in prayer in fighting falsehood. We have access to God that these Gnostics couldn’t dream of. Jesus promised this to the disciples in the Upper Room Discourse (Jn. 14:13-14; 16:23-24). If we can “know” that we have something so incredible as “eternal life” (v.13), then we can also “know” that we have confidence before God in prayer (cf. 3:21; cf. Rom. 8:32). (5:16) What is the sin leading to death? (5:19) “We know that we are of God, and that the whole world lies in the power of the evil one.” Our identity is no longer in the world-system, but in Christ. (5:20) Does this passage support the deity of Christ? (5:21) “Little children, guard yourselves from idols.” This is similar to Jesus’ statements to the church in Revelation 2:14, 20. (1:1) “The elder to the chosen lady and her children, whom I love in truth; and not only I, but also all who know the truth.” Everyone who was a believer loved this church. (2 Jn. 1) Who is the “chosen lady”? (1:3) “Grace, mercy and peace will be with us, from God the Father and from Jesus Christ, the Son of the Father, in truth and love.” The “peace” Jesus offers is inner peace in this context. Jesus promised, “These things I have spoken to you, so that in Me you may have peace. In the world you have tribulation, but take courage; I have overcome the world” (Jn. 16:33). It’s interesting that John places “truth” before “love.” In our postmodern age, people usually reverse these two concepts. But without truth, our love with atrophy and die. (1:4) “I was very glad to find some of your children walking in truth, just as we have received commandment to do from the Father.” John apparently had bumped into some of the believers from this group, and he was happy to see them walking with Christ. (1:5) “Now I ask you, lady, not as though I were writing to you a new commandment, but the one which we have had from the beginning, that we love one another.” He’s trying to remind her of the importance of love. (1:6) “And this is love, that we walk according to His commandments. This is the commandment, just as you have heard from the beginning, that you should walk in it.” Instead of giving them a new and novel insight on how to run the church, John points back to the basic teaching of love. (1:8) “Watch yourselves, that you do not lose what we have accomplished, but that you may receive a full reward.” “Watch yourselves” implies that there is danger in what he’s about to write. This means that there is danger in becoming complacent in going through perfunctory motions. Like a traffic cop coming up to the window of a car, you never know when the person will have a gun and shoot you. Similarly, we need to stay alert in our walk. The Greek term for “lose” (apollumi) means “to cause or experience destruction… ruin, destroy” (BDAG). On the other hand, the NT also speaks to rewards being permanent (Heb. 6:10; Mk. 9:41). (3 Jn. 9-10) Does this passage speak against church discipline or for it? (1:9) “Anyone who goes too far and does not abide in the teaching of Christ, does not have God; the one who abides in the teaching, he has both the Father and the Son.” Doctrine matters! If you deny a doctrine like the incarnation of Christ (v.7), you are not a Christian (1 Jn. 5:12). It’s also possible that John is still thinking of eternal rewards here, given the context (v.8). Under this view, John is not threatening believers with damnation, but with a loss of reward. It would be similar to seeing believers suffering “shipwreck” with regard to their faith (1 Tim. 1:19-20). If we do not “abide” in the truths of Christ, then we are disconnected from God—though not necessarily unregenerate. (1:10-11) “If anyone comes to you and does not bring this teaching, do not receive him into your house, and do not give him a greeting; 11 for the one who gives him a greeting participates in his evil deeds.” Does this mean that we can’t allow a Mormon or Jehovah’s Witness into our home when they knock on our door? John isn’t concerned about this, but instead, he’s worried about the practice of table fellowship. To have someone into your house meant that you were friends (Rev. 3:20). So John is concerned about communicating that these doctrinal matters are unimportant by having someone into your house for dinner. The application of this principle today might be carrying on with a false teacher like nothing is wrong. For those whose hope is in the Jesus of the Bible, how could we meet together without pressing the truth claims of Scripture? (1:12) “Though I have many things to write to you, I do not want to do so with paper and ink; but I hope to come to you and speak face to face, so that your joy may be made full.” There is something better about meeting face to face, rather than writing a letter. (1:1) “The elder to the beloved Gaius, whom I love in truth.” John refers to himself as “the Elder” just like in 2 John. John is writing to Gaius a fellow Christian and friend. We don’t know exactly who this man was, because Gaius was such a popular name in the Greco-Roman world (Acts 19:29? Acts 20:4-5? 1 Cor. 1:14? Rom. 16:23?). Most commentators aren’t sure who this man is. (1:2) “Beloved, I pray that in all respects you may prosper and be in good health, just as your soul prospers.” Gaius may have had health issues, and John is praying that his physical health may be restored, just like his spiritual health. This may be a good example for praying for people who are physically sick. Though this verse doesn’t necessarily mean Gaius is sick, at the very least it shows John knew him well and cared about him. (1:3) “For I was very glad when brethren came and testified to your truth, that is, how you are walking in truth.” What is meant by “brothers”? At the very least, a group of Christians visited Gaius’ church and were reporting back to John, telling him about his faithfulness, and living according to the truth. Gaius may not have even known they were from John’s church, and stilled showed them love. (1:4) “I have no greater joy than this, to hear of my children walking in the truth.” There is no greater joy for John than to hear how his children are living according to the truth. This doesn’t refer to biological children, but people we oversee to nurture their spiritual care (cf. 1 Jn. 2:1; 3:18). It brings us joy to see younger believers growing with God. The language of “no greater joy” is empathetic. John also commands us to support brothers who go out and spread the good news faithfully. He writes, “So that we become coworkers in cooperation with the truth.” We have a role in supporting people with the gift of evangelism. (1:7) “For they went out for the sake of the Name, accepting nothing from the Gentiles.” The brothers John is speaking of are missionaries, and it seems as though they were preaching under the same principle Paul did: Not accepting anything from the people you are witnessing to so that you don’t come across as preaching for profit and stunt your witness (1 Cor. 9:12). While some commentators hold that John is referring to non-Christian Gentiles, it is more likely that he is referring to believing Gentiles. After all, why would non-Christian Gentiles want to support Christian missions? (1:8) “Therefore we ought to support such men, so that we may be fellow workers with the truth.” This is a great passage on giving to missions, as well as being hospitable and caring to people who go out to spread the truth John is talking about. When we support missionaries, we are “fellow workers” to spread the gospel. (1:10) “For this reason, if I come, I will call attention to his deeds which he does, unjustly accusing us with wicked words; and not satisfied with this, he himself does not receive the brethren, either, and he forbids those who desire to do so and puts them out of the church.” If John goes for a visit, he will call out a number of Diotrephes actions: First, he is accusing John of “unjust charges” using “evil words.” Second, he is not welcoming the brothers from John’s church. Third, he is hindering others in the church from helping the visiting brothers. Fourth, he seems to throw Christians out of the church, who help the visiting brothers. This passage implies that we should not be wary of calling out someone publicly if necessary. John did not keep secrets in this regard. If Diotrephes was sinning publicly, then he should be corrected publicly. This is an important thing to beware of. Even Christian leaders can become spiritually sick, and we need to discern when things like this happen in a church and address it appropriately. (1:11) “Beloved, do not imitate what is evil, but what is good. The one who does good is of God; the one who does evil has not seen God.” Diotrephes may have had many of the Christians in his church imitating and following him, but John encourages Gaius to not follow them but to keep doing what is good. This must have been scary for Gaius to stand up to Diotrephes, so John is writing to urge him to take a stand. “The one who does good is of God; the one who does evil has not seen God.” Hodges doesn’t take this to mean that believers cannot do evil. Instead, if they do evil, they are not in fellowship with God (1 Jn. 1:3). After all, if Gaius did evil (succumbing to the peer pressure of Diotrephes), then he would become a non-Christian! Why does John mention him? Gaius probably felt inadequate to confront Diotrephes all alone. John mentions Demetrius as a good man who could help him in this endeavor. (1:13-15) “I had many things to write to you, but I am not willing to write them to you with pen and ink; 14 but I hope to see you shortly, and we will speak face to face. 15 Peace be to you. The friends greet you. Greet the friends by name.” This reminds us of 2 John 12, where he writes that the reason he does “not wish to write with pen and ink” is “so that our joy may be made complete.” Talking face to face seems to be more effective and bring more joy. John writes. “I hope to see you right away” (“soon” NLT, “shortly” NASB, “right away” NET), leaving us to assume that the issue with Diotrephes is urgent. (3 Jn. 13-14) Does this passage imply that verbal tradition is greater than Scripture? C. H. Dodd, Commentary on the Johannine Epistles, Moffatt New Testament Commentary (Hodder & Stoughton, 1946). Stott, J. R. W. (1988). The Letters of John: An Introduction and Commentary (Vol. 19, p. 18). Downers Grove, IL: InterVarsity Press. Barker, G. W. (1981). 1 John. In F. E. Gaebelein (Ed. ), The Expositor’s Bible Commentary: Hebrews through Revelation (Vol. 12, p. 294). Grand Rapids, MI: Zondervan Publishing House. Kruger, Michael. Canon Revisited: Establishing the Origins and Authority of the New Testament Books. Wheaton, IL. Crossway. 2012. 272. Stott, J. R. W. (1988). The Letters of John: An Introduction and Commentary (Vol. 19, p. 39). Downers Grove, IL: InterVarsity Press. Carson, D. A. (1991). The Gospel according to John (p. 70). Leicester, England; Grand Rapids, MI: Inter-Varsity Press; W.B. Eerdmans. Barker, G. W. (1981). 1 John. In F. E. Gaebelein (Ed. ), The Expositor’s Bible Commentary: Hebrews through Revelation (Vol. 12, p. 301). Grand Rapids, MI: Zondervan Publishing House. Johnson, T. F. (2011). 1, 2, and 3 John (p. 4). Grand Rapids, MI: Baker Books. Thompson, M. M. (1992). 1–3 John. Downers Grove, IL: InterVarsity Press. Smalley, S. S. (1989). 1, 2, 3 John (Vol. 51, p. xxxii). Dallas: Word, Incorporated. Barker, G. W. (1981). 1 John. In F. E. Gaebelein (Ed. ), The Expositor’s Bible Commentary: Hebrews through Revelation (Vol. 12, p. 295). Grand Rapids, MI: Zondervan Publishing House. Hiebert, D. Edmond. “An Exposition of 1 John 1:1-4.” Bibliotheca Sacra. April-June 1988. 199. Hiebert, D. Edmond. “An Exposition of 1 John 1:1-4.” Bibliotheca Sacra. April-June 1988. 199-200. Hodges, Z. C. (1999). The Epistle of John: Walking in the Light of God’s Love (p. 34-38). Irving, TX: Grace Evangelical Society. Hodges, Z. C. (1999). The Epistle of John: Walking in the Light of God’s Love (pp. 48–49). Irving, TX: Grace Evangelical Society. Hodges, Z. C. (1999). The Epistle of John: Walking in the Light of God’s Love (p. 50). Irving, TX: Grace Evangelical Society. Hodges, Z. C. (1999). The Epistle of John: Walking in the Light of God’s Love. Irving, TX: Grace Evangelical Society. Hodges, Z. C. (1999). The Epistle of John: Walking in the Light of God’s Love (p. 59). Irving, TX: Grace Evangelical Society. Hodges, Z. C. (1999). The Epistle of John: Walking in the Light of God’s Love (p. 61). Irving, TX: Grace Evangelical Society. Hodges, Z. C. (1999). The Epistle of John: Walking in the Light of God’s Love (p. 62). Irving, TX: Grace Evangelical Society. Hodges, Z. C. (1999). The Epistle of John: Walking in the Light of God’s Love (p. 67). Irving, TX: Grace Evangelical Society. Hodges, Z. C. (1999). The Epistle of John: Walking in the Light of God’s Love (p. 66). Irving, TX: Grace Evangelical Society. Hodges, Z. C. (1999). The Epistle of John: Walking in the Light of God’s Love (p. 76). Irving, TX: Grace Evangelical Society. Hodges, Z. C. (1999). The Epistle of John: Walking in the Light of God’s Love (p. 77). Irving, TX: Grace Evangelical Society. Hodges, Z. C. (1999). The Epistle of John: Walking in the Light of God’s Love (p. 80). Irving, TX: Grace Evangelical Society. Hodges, Z. C. (1999). The Epistle of John: Walking in the Light of God’s Love (p. 87). Irving, TX: Grace Evangelical Society. Hodges, Z. C. (1999). The Epistle of John: Walking in the Light of God’s Love (p. 88). Irving, TX: Grace Evangelical Society. Hodges, Z. C. (1999). The Epistle of John: Walking in the Light of God’s Love (p. 89). Irving, TX: Grace Evangelical Society. Hodges, Z. C. (1999). The Epistle of John: Walking in the Light of God’s Love (p. 94). Irving, TX: Grace Evangelical Society. Hodges, Z. C. (1999). The Epistle of John: Walking in the Light of God’s Love (p. 101). Irving, TX: Grace Evangelical Society. Hodges, Z. C. (1999). The Epistle of John: Walking in the Light of God’s Love (p. 102). Irving, TX: Grace Evangelical Society. Barker, G. W. (1981). 1 John. In F. E. Gaebelein (Ed. ), The Expositor’s Bible Commentary: Hebrews through Revelation (Vol. 12, p. 321). Grand Rapids, MI: Zondervan Publishing House. Hodges, Z. C. (1999). The Epistle of John: Walking in the Light of God’s Love (p. 103). Irving, TX: Grace Evangelical Society. Barker, G. W. (1981). 1 John. In F. E. Gaebelein (Ed. ), The Expositor’s Bible Commentary: Hebrews through Revelation (Vol. 12, p. 322). Grand Rapids, MI: Zondervan Publishing House. He does so based on the various ways we could understand the word “have” (echō), as in “have the Father.” Hodges, Z. C. (1999). The Epistle of John: Walking in the Light of God’s Love (p. 114). Irving, TX: Grace Evangelical Society. Hodges, Z. C. (1999). The Epistle of John: Walking in the Light of God’s Love (p. 125). Irving, TX: Grace Evangelical Society. Hodges, Z. C. (1999). The Epistle of John: Walking in the Light of God’s Love (p. 127). Irving, TX: Grace Evangelical Society. Hodges, Z. C. (1999). The Epistle of John: Walking in the Light of God’s Love (p. 128). Irving, TX: Grace Evangelical Society. Hodges, Z. C. (1999). The Epistle of John: Walking in the Light of God’s Love (p. 132). Irving, TX: Grace Evangelical Society. Hodges, Z. C. (1999). The Epistle of John: Walking in the Light of God’s Love (p. 145). Irving, TX: Grace Evangelical Society. Hodges, Z. C. (1999). The Epistle of John: Walking in the Light of God’s Love (p. 166). Irving, TX: Grace Evangelical Society. Hodges, Z. C. (1999). The Epistle of John: Walking in the Light of God’s Love (pp. 166–167). Irving, TX: Grace Evangelical Society. Hodges, Z. C. (1999). The Epistle of John: Walking in the Light of God’s Love (p. 181). Irving, TX: Grace Evangelical Society. Hodges, Z. C. (1999). The Epistle of John: Walking in the Light of God’s Love (p. 184). Irving, TX: Grace Evangelical Society. Johnson, T. F. (2011). 1, 2, and 3 John (p. 105). Grand Rapids, MI: Baker Books. Stott, J. R. W. (1988). The Letters of John: An Introduction and Commentary (Vol. 19, p. 164). Downers Grove, IL: InterVarsity Press. Hodges, Z. C. (1999). The Epistle of John: Walking in the Light of God’s Love (p. 192-193). Irving, TX: Grace Evangelical Society. Hodges, Z. C. (1999). The Epistle of John: Walking in the Light of God’s Love (pp. 34–35). Irving, TX: Grace Evangelical Society. Hodges, Z. C. (1999). The Epistle of John: Walking in the Light of God’s Love (p. 218). Irving, TX: Grace Evangelical Society. Hodges notes that “these things” usually modifies what was just written throughout the letter (e.g. 1 Jn. 1:4; 2:1; 2:26 Hodges, Z. C. (1999). The Epistle of John: Walking in the Light of God’s Love (p. 226). Irving, TX: Grace Evangelical Society. Hodges, Z. C. (1999). The Epistle of John: Walking in the Light of God’s Love (p. 229). Irving, TX: Grace Evangelical Society. Hodges, Z. C. (1999). The Epistle of John: Walking in the Light of God’s Love (p. 242). Irving, TX: Grace Evangelical Society. Hodges, Z. C. (1999). The Epistle of John: Walking in the Light of God’s Love (pp. 242–243). Irving, TX: Grace Evangelical Society. Hodges, Z. C. (1999). The Epistle of John: Walking in the Light of God’s Love (p. 254). Irving, TX: Grace Evangelical Society. Hodges, Z. C. (1999). The Epistle of John: Walking in the Light of God’s Love (p. 259). Irving, TX: Grace Evangelical Society. Hodges, Z. C. (1999). The Epistle of John: Walking in the Light of God’s Love (p. 262). Irving, TX: Grace Evangelical Society. Hodges, Z. C. (1999). The Epistle of John: Walking in the Light of God’s Love (p. 264). Irving, TX: Grace Evangelical Society. Hodges, Z. C. (1999). The Epistle of John: Walking in the Light of God’s Love (p. 278). Irving, TX: Grace Evangelical Society. Hodges, Z. C. (1999). The Epistle of John: Walking in the Light of God’s Love (p. 281). Irving, TX: Grace Evangelical Society. Hodges, Z. C. (1999). The Epistle of John: Walking in the Light of God’s Love (pp. 282–283). Irving, TX: Grace Evangelical Society. Hodges, Z. C. (1999). The Epistle of John: Walking in the Light of God’s Love (p. 286). Irving, TX: Grace Evangelical Society. Hodges, Z. C. (1999). The Epistle of John: Walking in the Light of God’s Love (p. 289). Irving, TX: Grace Evangelical Society. Hodges, Z. C. (1999). The Epistle of John: Walking in the Light of God’s Love (p. 290). Irving, TX: Grace Evangelical Society.